Happy Valentines with Chocolate Fondue! Enjoy this Chocolate Fondue Recipe with Love! 1. Over low heat, break up the chocolate squares and melt with the cream in a pot. 2. Stir until melted, smooth & warm. 3. When ingredients are well mixed, transfer the mixture into your chocolate fondue set or use straight from the pot and stir in the vanilla. HINT: If your mixture is too thick, add more cream or liqueur of your choice. If the mixture is too runny, add chocolate. And now you’re ready for the chocolate fun! Go dipping: fruits, strawberries, bananas, kiwis, Madeleines etc.. and by all means do double-dip! 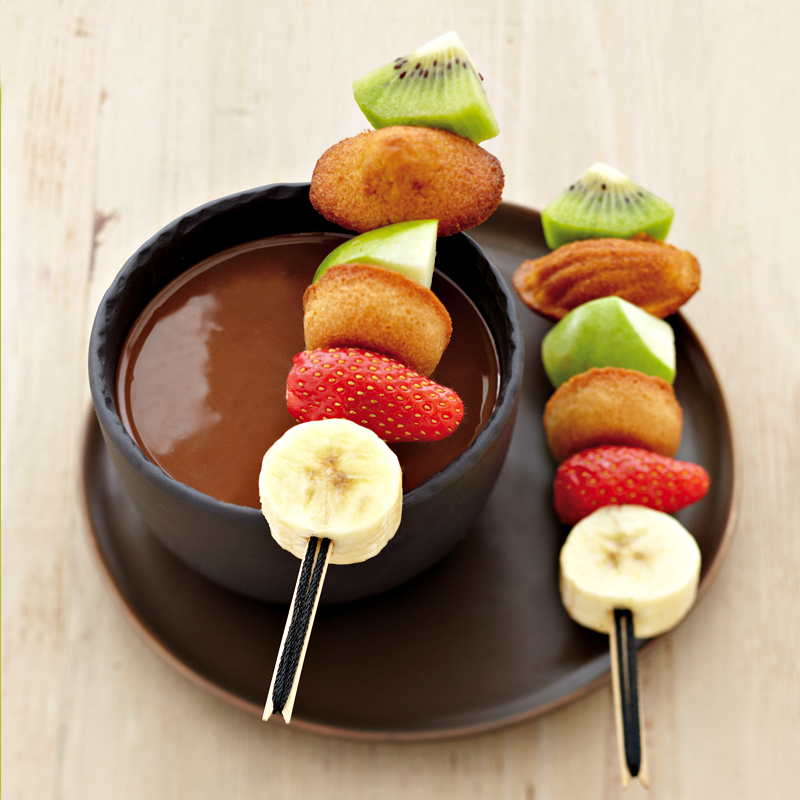 This fondue picture above is courtesy of Nutella …and yes, you can make the fondue straight from the Nutella jar! What’s your favorite Valentine treat? Next Next post: JAMEL DEBBOUZE à Los Angeles!